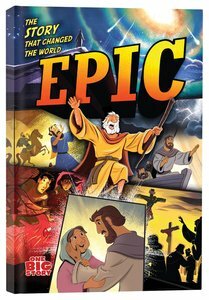 Epic: The Story that Changed the World is a graphic novel style Bible storybook featuring 40 stories and life-application questions circling back to the one big story of Jesus and making biblical events more relevant for today's youth. The book features familiar yet reimagined art from the One Big Story brand that is perfect for engaging older kids and preteen readers. About "Epic: The Story That Changed the World"